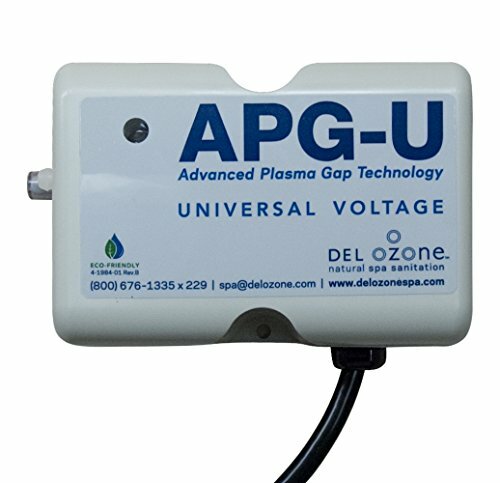 The Del Ozone Spa Ozone Generator is an essential product that keeps the water in your spa fresh and clean. It will save you money on chemicals, eliminate odors, and features easy installation. Ozone is a very powerful oxidizing disinfectant that will keep the water in your spa extremely clean. 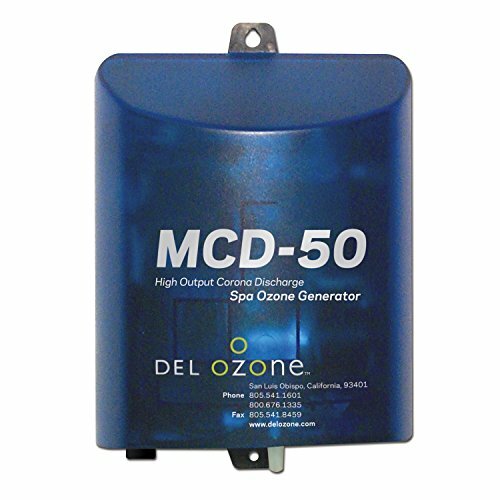 The Del Ozone Spa Ozone Generator is mounted on the interior wall of your spa and includes the necessary hardware. Comes complete with Ozone generator, Ozone supply tubing, check valve, mounting screws, installation manual, and a water chemistry guide. Sanitizes spas up to 1,000 gallons. 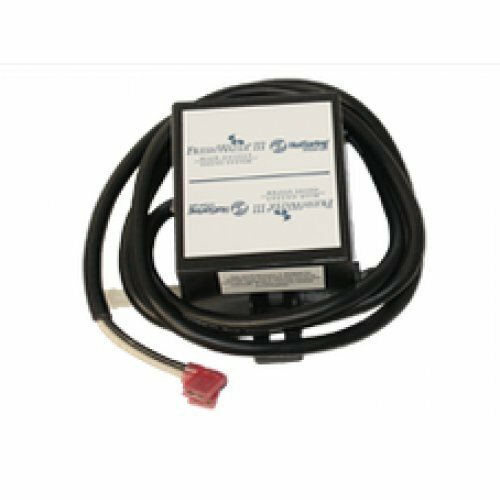 This Ozonator Ozone Generator works with your filter to help maintain sparkling clean hot tub water. The ozone generator sanitizes the water naturally to reduce the need for chlorine and other chemicals. The Del Ozone Hot Tub and Spa Eclipse CD Ozone Generator is an essential product that keeps the water in your spa fresh and clean. 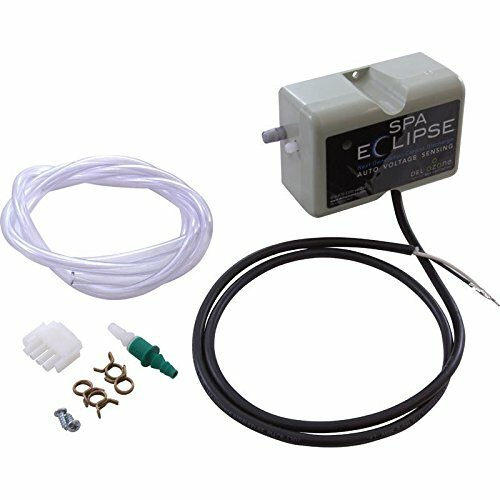 Designed for spas and hot tubs up to 750 Gallons, the Eclipse will save you money on chemicals, eliminate odors, and features easy installation. Ozone is a very powerful oxidizing disinfectant that kills up to 99.99% of microorganisms typically found in spas and hot tubs. Your water will be sanitized quickly and effectively without the unpleasant by-products associated with traditional bromine and chlorine chemicals. Eclipse CD is also now equipped with the exclusive Advanced Plasma Gap technology and Auto Voltage Sensing to allow for uncompromised sanitizing results. 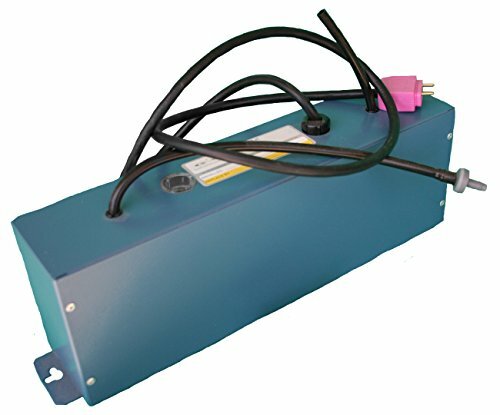 The unit is easy to install, operates on 110v or 220v, and can be plumbed directly into your spa or hot tub return line. Includes: Eclipse CD Ozone Generator, Ozone Supply Tubing, Check Valve, Mounting Hardware, Installation Guide, and Water Chemistry Guide. Model: ECS-1RPAM2-U. Dimension One Spas Ozone Generator for your hot tub . Ever wonder how the ozone system works? After water is drawn into the filter, it passes through a circulation pump, moves through the heater, and the ozone injector. At the same time, oxygen is passing through the Dimension One hot tub ozonator and turns into an ozone gas. Both the water and ozone gas meet in the ozone injector where they are mixed together, and flow into a 14’ contact chamber that safely breaks down lotions, oils, algae, viruses, bacteria and other organic matter. After the ozone has done its work only the clean, warm water returns to the spa. Ozone has been safely used around the world for more than 50 years! This proven technology is also used in public and private swimming pools, food safety applications, and even municipal drinking water systems. Let’s look at the powerful difference using a hot tub ozonator can make. A spa ozonator oxidizes, or burns out, the bad stuff in your hot tub water. You don’t want those little critters sharing your hot tub with you! Spa ozone systems increase bather comfort by reducing that icky Chlorine/Chloramine smell. You can reduce red or irritated eyes, dry or itchy skin, and even faded swimwear (all caused by too much, or too little chlorine). Bay Series Ozone Generator For best results, replace every 18-24 months. After that, the bulb may be lit, but the ozone output is too low. Easy to follow replacement instructions included with your purchase, or have a local service technician do the work instead. Either way, keep your Ozone System working the way it was designed to. 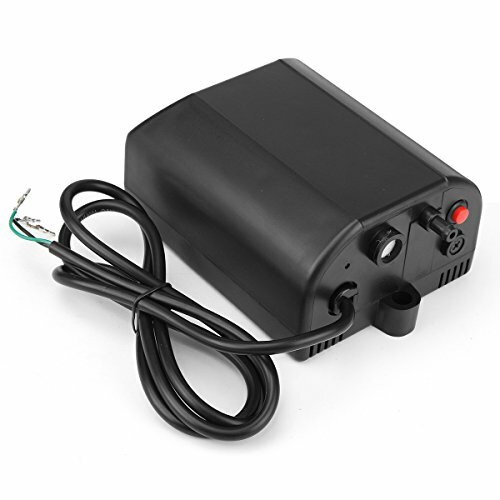 Hot Tub Replacement Parts Watkins Freshwater III Ozone Generator Only, Direct Connect Power Cord. 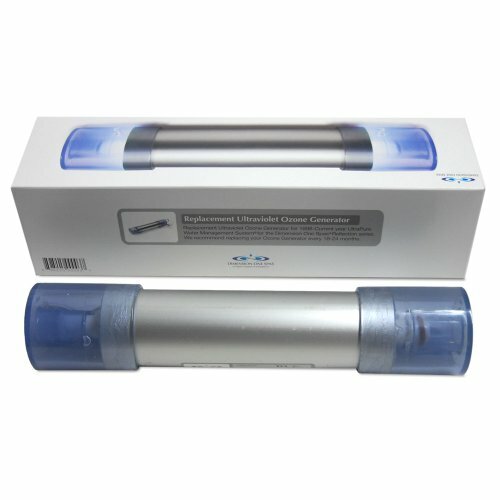 Replacement ozone unit only -Freshwater 3 ozonator replacement for all 1997 forward Hot Spring, Tiger River and Limelight spa models. This Freshwater III has flag terminals (ie "Direct Connect") on the end of the power cord to attach directly onto the IQ 2000 & IQ 2020 Control Box motherboard. This unit also attaches to your existing injector, tubing and ozone check valve. 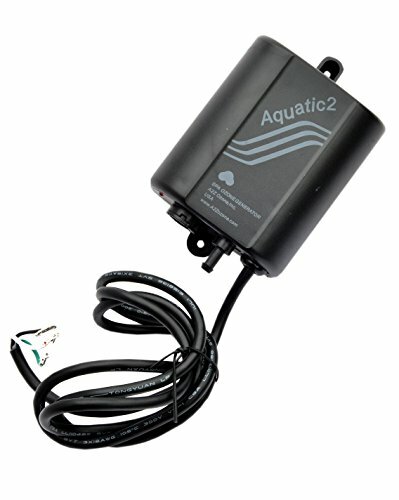 This is for a Single Watkins FreshWater III Ozone Generator Only, Direct Connect Power Cord Newly Designed Freshwater III Ozone Unit Only (No injector, tubing or check valve) with Direct Connect Power Cord OEM Replacement High Grade Quality that's made to last!! 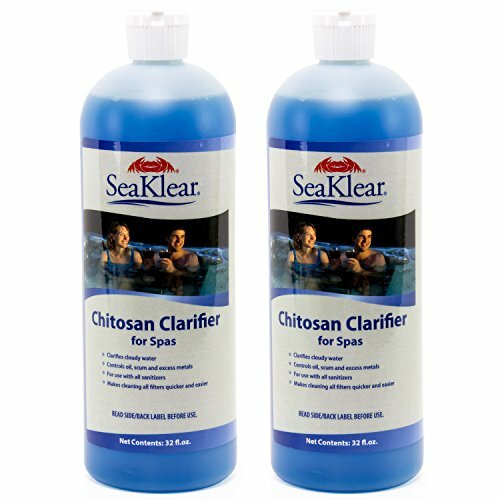 SeaKlear Chitosan Clarifier works better and does more than other clarifiers. SeaKlear has been proven reliable at safely keeping pools clear, easily and effectively. Patented formula is Eco-Friendly, 100% non-toxic, and biodegradable. Far superior to other conventional petroleum-based products. You cannot buy a better water clarifier at any price, guaranteed. Safe to use with all sanitizer systems including chlorine, bromine, salt generators, Nature2, Frog, Cleanwater Blue, biguanide. Enhances ozone purification. Improves the performance of ion-based purifiers by removing the non-essential, stain-causing metals. Oregon HotSpring Spas: One of our hot tub technicians explains how to determine if your spa's ozonator is working properly, and how to clean the ozonator injector if it becomes clogged. 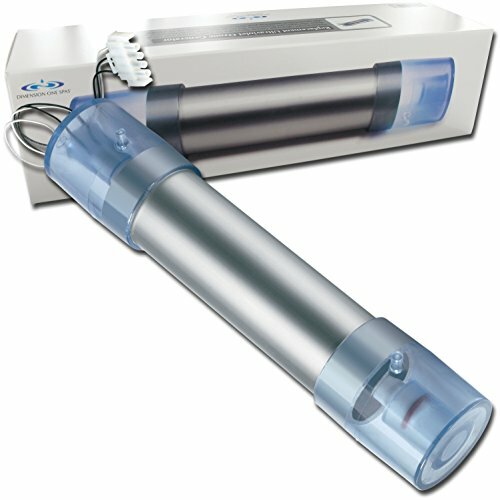 Compare prices on Ozone Generator Hot Tub at ShoppinGent.com – use promo codes and coupons for best offers and deals. Start smart buying with ShoppinGent.com right now and choose your golden price on every purchase.